Another burger outlet in SS15? Awesome! So close to my office, I can leisurely and pleasurely walk to Big Chomp Burger within a couple of minutes. Raved by my students as a must try, so, I did. 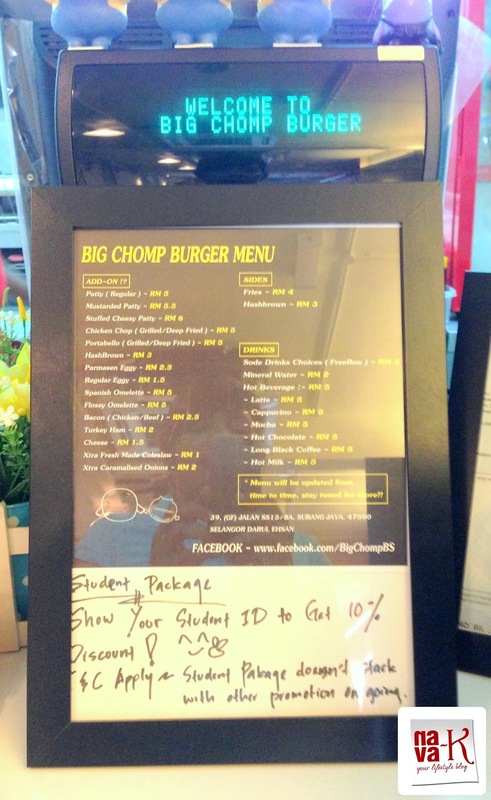 I took a dainty walk to Big Chomp by 11.30am, I was in front of the counter and I was the first customer for the day. 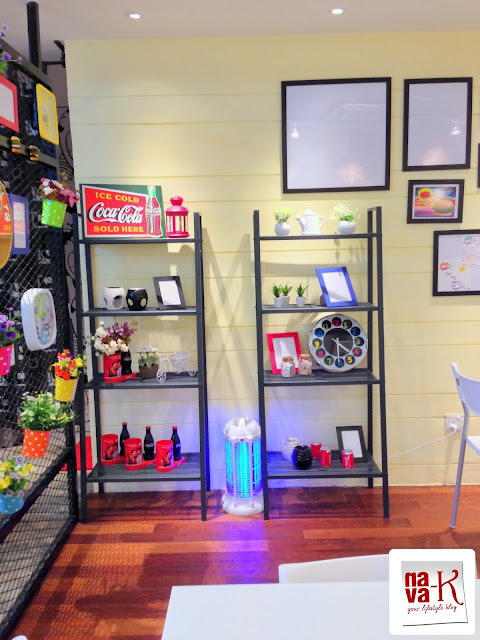 Naturally, customer service was overwhelming, I heard out the suggestions by the staff, thereafter, I opted for my choice in this homely, bright and colourful ambiance burger outlet. Points must be allocated for the bright and sunshiny ambiance. With the next class scheduled within an hour, I packed back Flossy Chicken set. Burger, fries and sadly, I lost out on free refills for soft drink. 10 minutes of wait, I paid RM18.00 and walked back to my office. 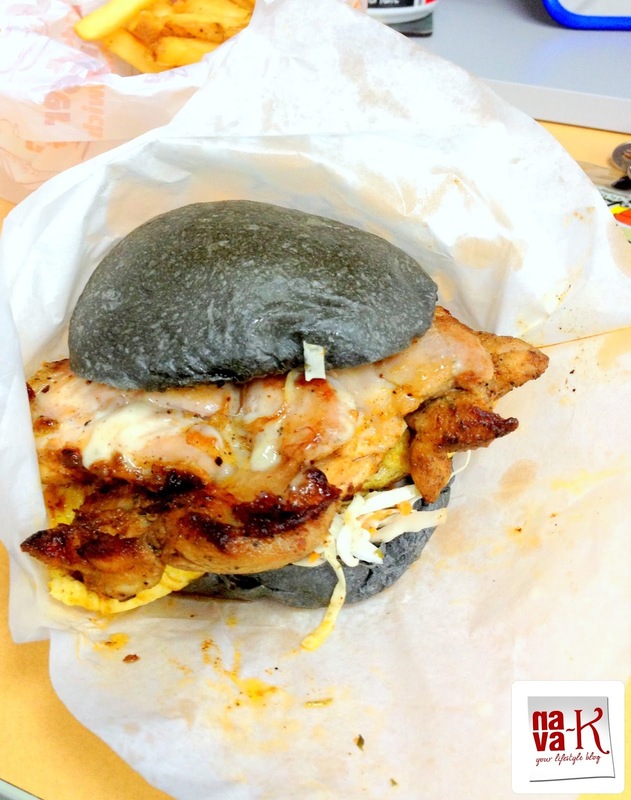 At my desk, I tackled the burger first. 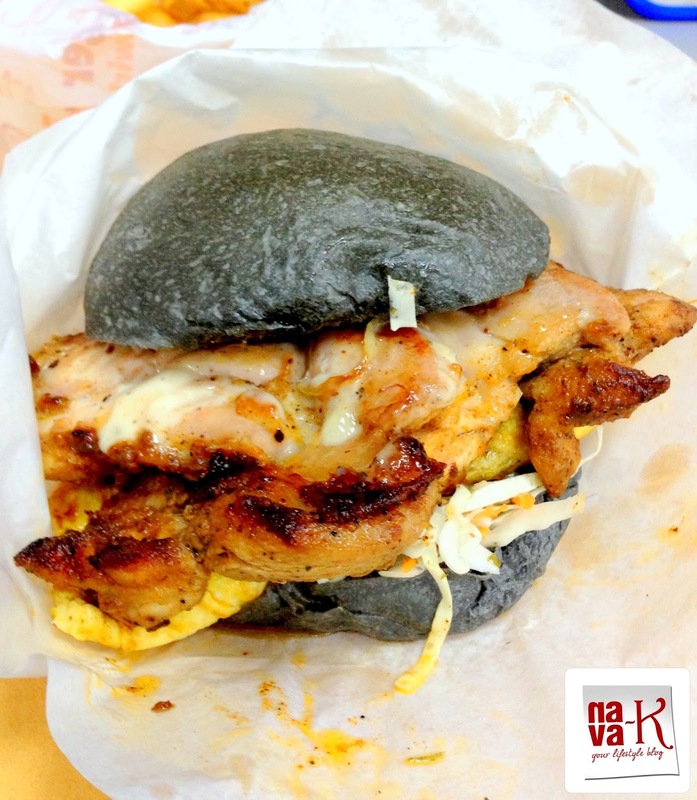 Black/Charcoal bun decked alongside grilled chicken chunk, flossy omelet, caramelized onion and shredded cabbage. Upon the first bite without lathering any chilli sauce, burger was juicy and a lovely sweet burst from the caramelized onion. 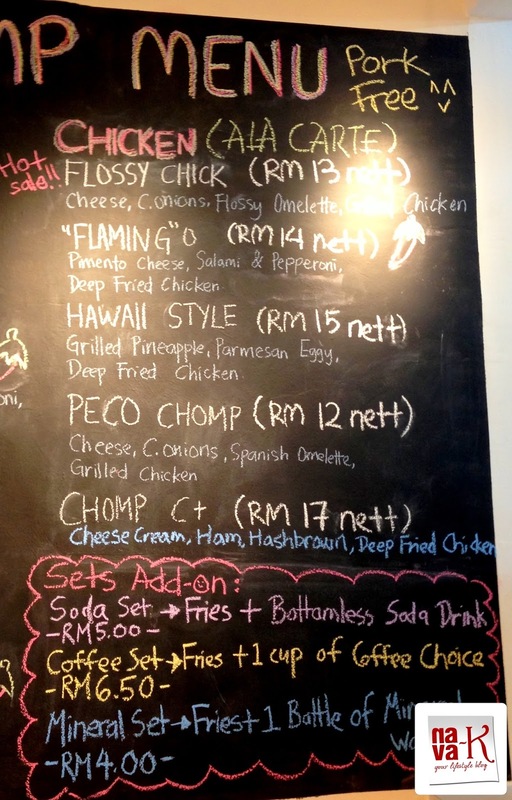 While I must agree that burger was delightful, I should have studied the menu and opted for minced chicken patty. Minced patty I feel is less messy to eat because it will crumble instantly in the mouth compared to biting into grilled chicken by ensuring that it doesn't fall out from the bun. Next I dipped the fries into the three types of sauces (chilli sauce, tomato sauce and thousand island sauce) which were packed in individual small plastic containers. Fries? You have to eat there and then, packing back is definitely out of the question. And guess what? My drink was missing! Well, maybe I should blame myself for not checking the items before leaving or should I go back to Big Chomp and blast the staff? Lucky I ate in the office. I had water to save me. Imagine if I would have eaten this meal somewhere outside? Run around begging for water from strangers? 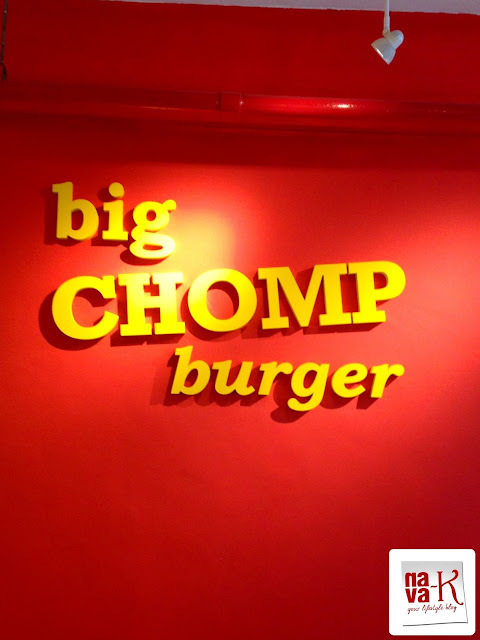 How would I rate Big Chomp? Fantastic customer service which didn't end that well, I quite enjoyed the burger, but not a cheap burger meal and let's see if I will return again to try the other types of burgers. 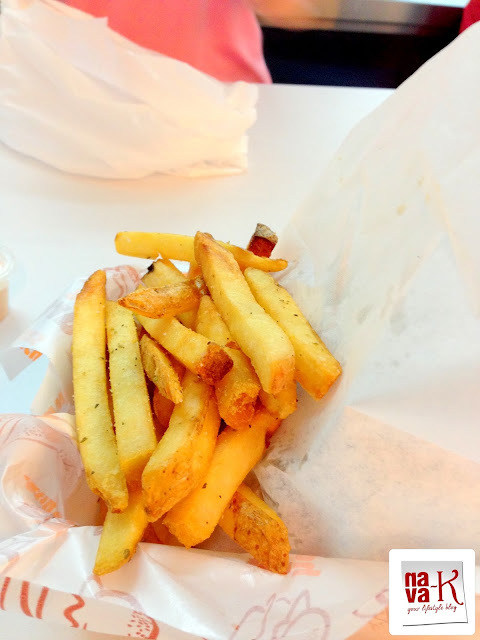 i am hungry it is quite a review and click.looks so delicious. Very intresting name in menu written on black boad..
Great review, the bans looks interesting color but I love the layer of this burger caramelized onion sound perfect in this burger,YUM ! 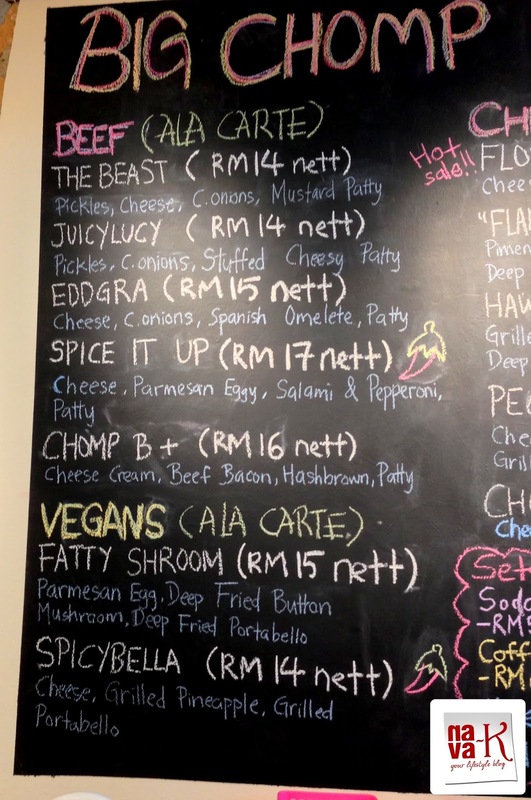 Certainly burger fever in Malaysia. The restaurant looks very homey and cosy :) Have a great weekend, Nava! everything is so gorgeous.. especially love those burgers :) its tempting..
That's an impressive range of burgers on the menu. They all look so good!! 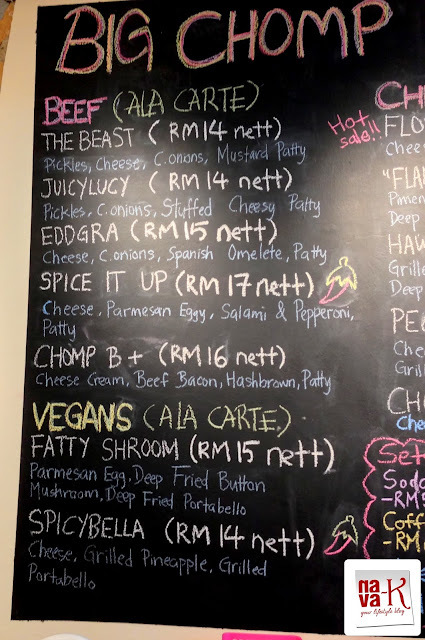 That's one tempting burger ! Been reading many good reviews on this place.